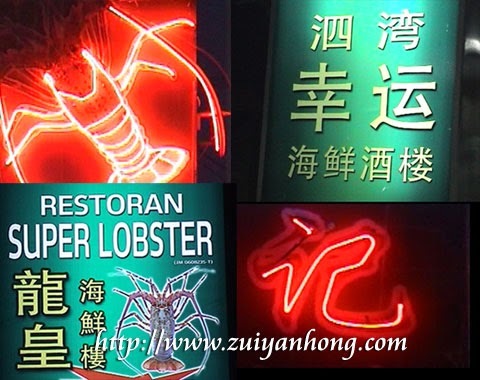 We went to Pengerang for savoring lobsters before the lobsters there extinct. Sungai Rengit is a mini town in Pengerang. 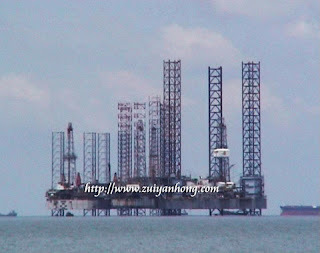 Most of the basic infrastructures are available in Sungai Rengit. 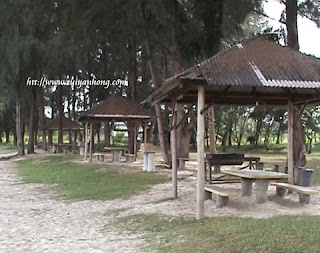 Although it's located in rural area, lodging in Sungai Rengit is not a problem. 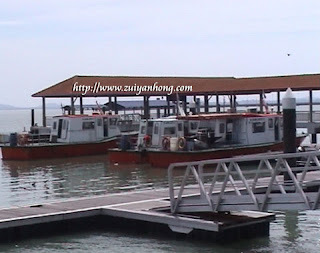 Apart from Tai Hoe Hotel, there are some other hotels around Sungai Rengit. 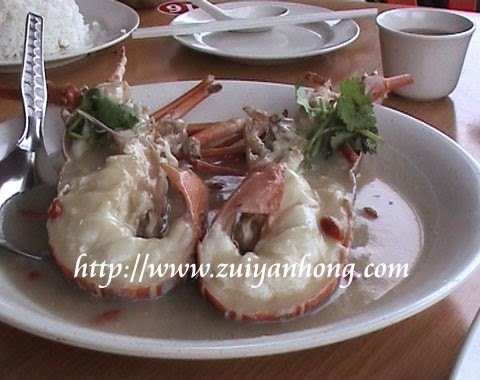 Don't miss the opportunity of enjoying seafood while you are visiting Pengerang. 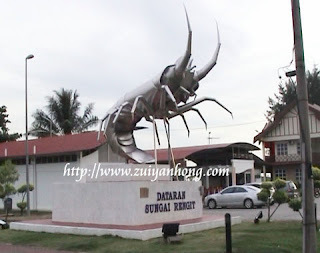 There are quite many seafood restaurants in Sungai Rengit. You have to some do searching before leaving to Pengerang. In case you are traveling with kids, you can drop by Pengerang Ostrich Farm. 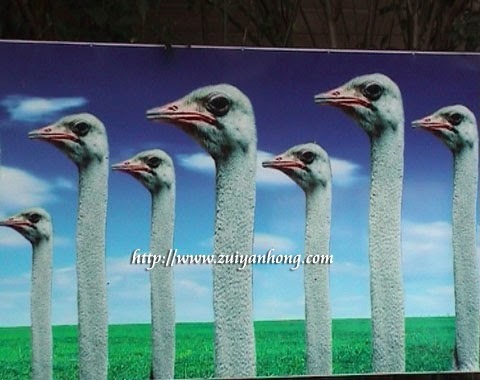 If you are interested, you can buy ticket and explore the ostriches in the ostrich farm. You also can buy some souvenirs of ostrich products. It's around 5 km from Sungai Rengit, Ramunia Beach is at along the road to Desaru. Ramunia Beach is truly charming. Beyond swimming in the sea, you can picnic at the beach. You can stay there overnight to watch the starry sky at night. 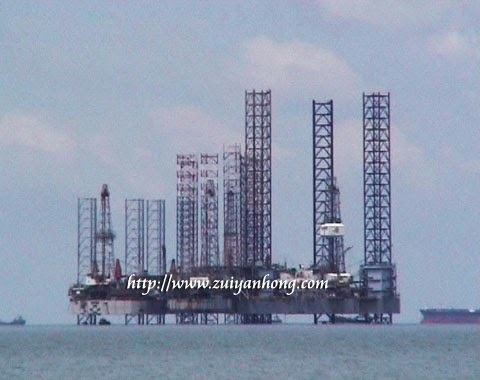 Singaporeans enter Pengerang through Tanjung Pengelih Jetty. From the jetty, they take taxis or vehicles provided by hotels to Sungai Rengit. Visitors from Singapore flock to Pengerang to taste delicious seafood during weekends and public holidays. 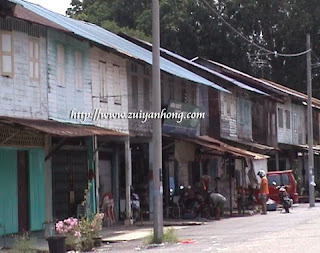 Kampung Jawa old town is not far away from Tanjung Pengelih Jetty. The place seemed to have been forgotten. Compare with Sungai Rengit, the situation of Kampung Jawa are not the same. Sungai Rengit is more prosperous but Kampung Jawa has turned into a dead place. Project Rapid launched in Pengerang has causes dispute among activists, government, opposition front and local residents. But with the completion of the 13th general election, the issue is gradually vanishing. Now, the conflict is as if no longer been the focus of the media and the public. May be it will resurface and in the limelight during the eve of next general election.